Controlling sediment and erosion problems are critical to an effective storm water pollution prevention plan, or SWPPP. In addition, controlling runoff water helps to reduce erosion and sediment problems and ultimately reduces the environmental impact of a project. 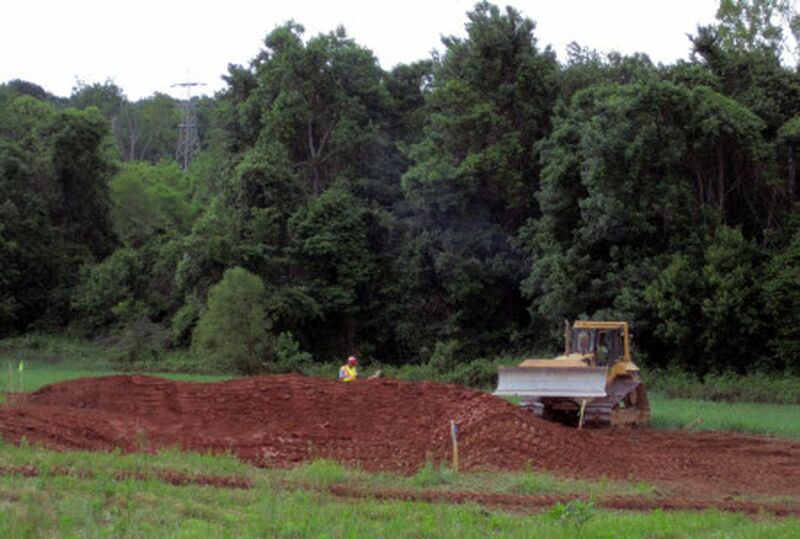 Best management for soil and erosion control during construction are outlined in the U.S. EPA's SWPPP. When starting your construction project, be careful to disturb only the areas necessary for construction. This is the best way to limit the amount of erosion and sediment control that is required throughout the project. Keep natural vegetation in place and leave topsoil undisturbed as much as possible. Control erosion and sedimentation by dividing your project into phases, and do not break new ground until absolutely necessary. This limits the amount of erosion and sediment control that you must manage during each construction phase. Completing each phase will also complete the erosion control for that area (in many cases) so you can focus on controls in the area of the next phase. Sediment traps and ditches are common methods of controlling runoff water from within and around construction areas. This can include site work to redirect natural runoff to a sediment trap or similar structure to trap sediment-filled runoff water. Runoff also can be controlled by redirecting it with diversion ditches located at the up-slope side of a construction site. Many permits require you to have stabilization measures in place after a specific time frame. Some temporary measures can include the use of seeding, mulch, blankets, and wool binders. If the stabilization measure is permanent, it may include permanent seeding, planting, channel stabilization, and green buffer. After the permanent stabilization is complete, you can go to your SWPPP to mark the area as completed and stop inspections in that area. There are multiple options for erosion and sediment control on slopes. On gentle to moderate slopes, active measures such as silt fencing or fiber rolls can be installed on leveled contours between 10 or 20 feet in distance. Geo-textiles, turf blankets, and mats can also be used for slope protection. Storm inlets typically are protected inside a project area and, less frequently, on adjacent or nearby storm drain inlets. Storm inlet protection can be achieved by using silt fencing, rock-filled bags, or block and gravel. The protection method used depends on the type of drain inlet, the configuration of the inlet opening, and the expected flow. A clean perimeter is established by installing a temporary silt fence barrier that is trenched into the ground to provided lateral resistance. Note that a perimeter fence is effective at retaining sediment carried by stormwater only in small areas and is useless for large areas and high slopes. Do not use silt fencing or fiber rolls alone in areas that drain more than a quarter-acre per 100 feet of fence. Sediment control traps or basins reduce runoff water and allow sediment to settle before it is discharged. EPA requires that a sediment basin works as a sediment trap to reduce the amount of energy being discharged into water systems. Sediment basins must have the capacity to store at least two years of storm runoff water. Dewatering practices are used to remove ground water or accumulated rain water from excavated areas. Sometimes a separate permit is required for dewatering activities. Stabilized construction entrances help to reduce sediment being carried away by construction vehicles. It is recommended to have two construction entrances covered with crushed stone. These areas require maintenance, including removing the crushed stone and replacing it with clean stone. Construction entrances typically must be at least 50 feet long. If this is not possible, it is recommended that an employee pressure-wash the tires of vehicles going in and out of the project. Regular inspection of the construction site is critical to controlling sediment and erosion problems. Sites should be inspected after any storm event, including a light rain, according to the management plan. Routine inspections help to ensure the system is prepared to handle runoff water appropriately and to promote early detection of potential problems.